Next up some goodies. 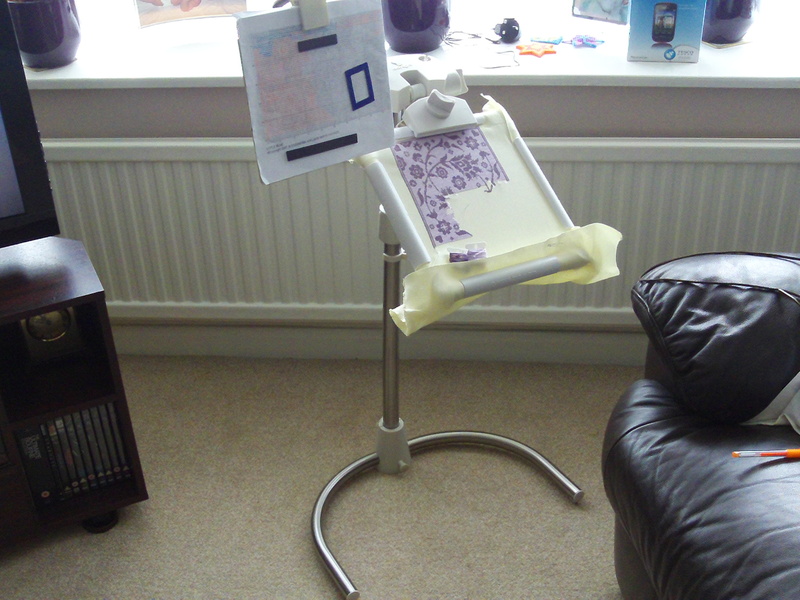 I treated myself to the new StitchSmart stand to replace my old wooden one which was getting very lose and squeeky. Loving how it holds the work and how easily it turns over to get access to the back. I then found what I thought was an amazing deal on the accessory pack (daylight lamp, magnifier and chart holder) but when it arrived it turned out to be another stand! My mum decided to keep it as she hasn’t really been stitching much recently because of her fibromyalygia (sp? ), and this seems to help her, but she still can’t manage too many stitches. So she kept the second stand and ordered me the accessory pack (and paid the extra – thanks mum :)) Here’s a picture of the setup in action (minus the lamp as I have really good lighting here – it will be invaluable back in Algeria though where the room I stitch in gets dark very early and the lighting there is useless for stitching). Well, I haven’t updated this blog for a while so here goes. 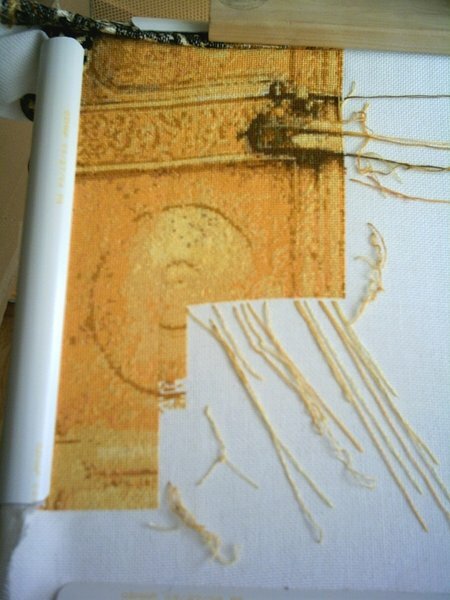 I’ve manged to finish page 8 of my doors project now – quite quick on this page, only took about 3 weeks. I’ve now done 47571 stitches (that’s 47%) in 43 weeks!!! Started a new weekend project. 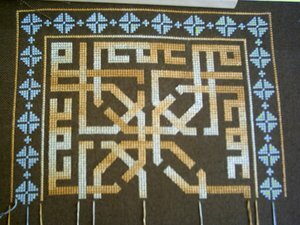 It was a pattern I bought ages ago and found when I was looking through all my downloaded patterns. The fabric is a chocolate 28 count linen and the thread was some I had in my stash for ages, I think I got it off EBay. It’s coming along really nicely. I am trying to manipulate the variegation of the thread to show up the over and under parts of the knotwork, it seems to be working so far. Finally, I managed to complete 2 of the Names of Allah for our round robin project. I have another 2 to do but haven’t started them yet. Stash-wise, I bought Alphebetissimo from Papillon Creatons. I bought some cream evenweave and some hand-dyed threads from Six Strand Sweets (Butterscotch and Buttermint). No photo of that yet but I’ll put it up when I can. Congrats on the progress – both of these pieces are really coming along. I’m amazed at the detail in your doors project every time I see it. Nice stash, too! You are making wonderful progress! Way to go!!! 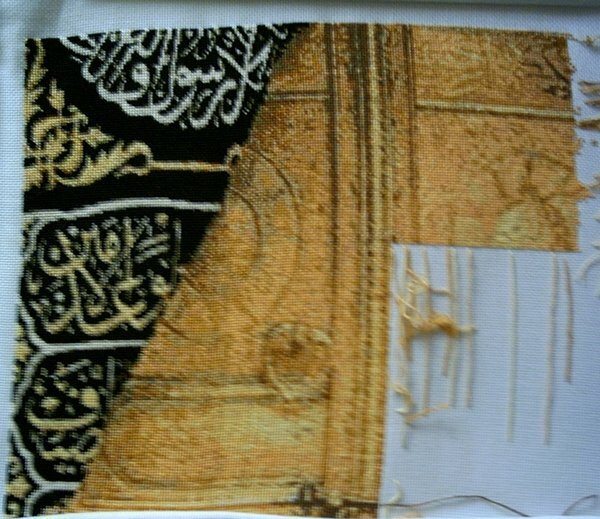 I managed 1600 stitches on the Kabaa Doors – so close to half way now! Also just finished my little weekend project, and put up a picture. I’m really pleased with how it came out as I wasn’t sure about the colours to start with. On the home-selling front, we have been having a few problems with our buyers solicitors, asking for all sorts of information/papers. Not sure if they are trying to drag this out for some reason but I hope things will get moving soon. 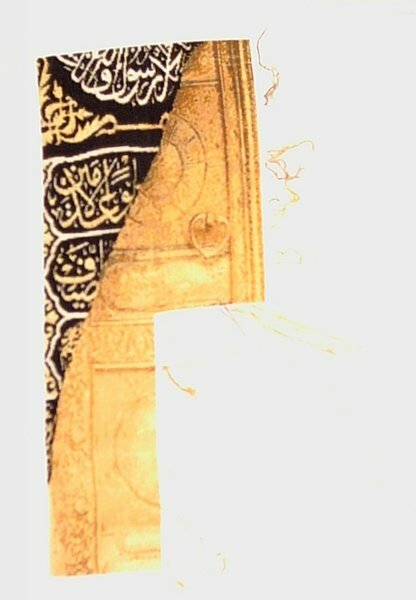 Salaam – and thank you. 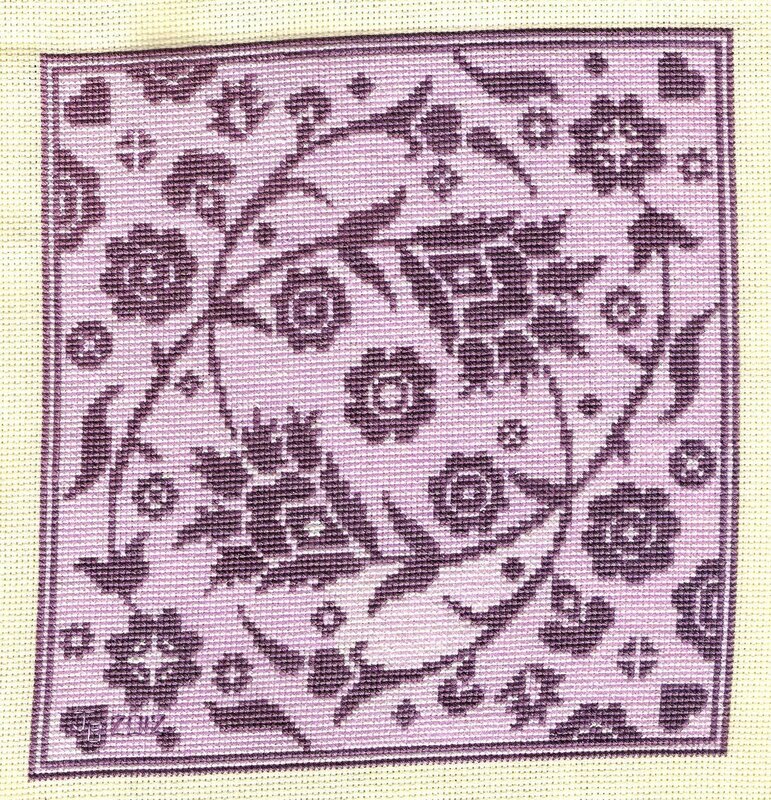 I used a linen fabric as there are quite a few quarter stitches in the pattern. 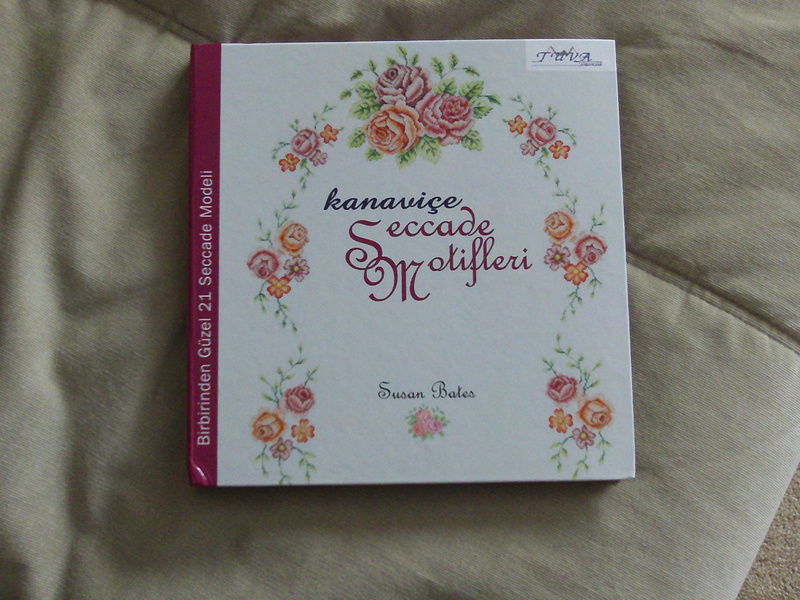 I bought the pattern online ages ago from a sister, who seems to have gone out of business now. It was a nice pattern to stitch too. Sorry about the house selling problems. Good luck with all that. Lovely finish, Somayya – this was a perfect piece of fabric for the colors you used! So sorry to hear about the difficulties with selling your house – having been on the other side of that transaction in the recent past makes me extremely sympathetic! Well done!! This piece turned out lovely indeed. Oh that is truly beautiful! Such a lovely piece! Not much stitching done this weekend as we had lots of visits and visitors. But I did start a new weekend project. This one is for my 3 year old son, who is a Thomas the Tank Engine fanatic. When I was looking at Vicki’s site (India Grace Designs), he saw this and went mad for it. 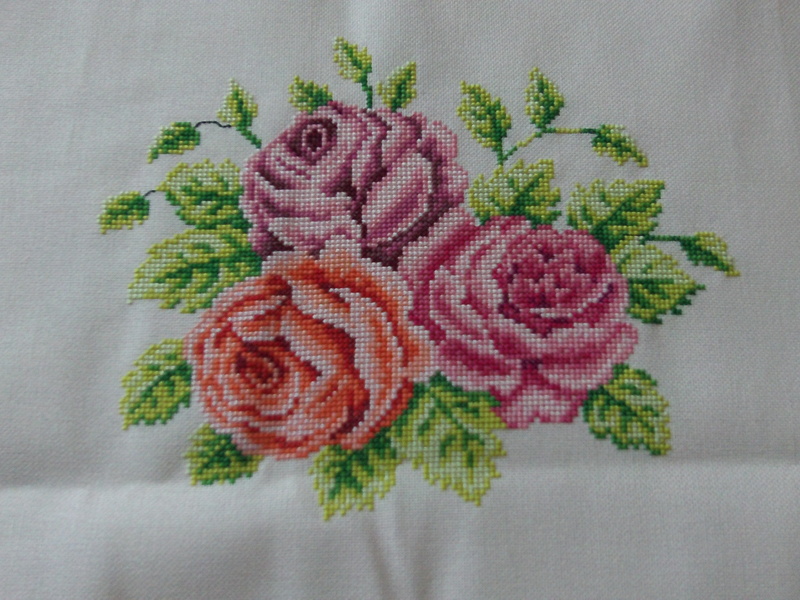 On my big project I managed 1010 stitches – still not quite reached the half way point, maybe this week. On the house sale front, it looks like we have to jump through a few more hoops yet. We need to get an amendment to our deeds, which looks like it will cost at least another £1000, so our profit margin is shrinking rapidly. But we did go and look at some new plasma TVs and laptop computers on Saturday, don’t you love window shopping! Sorry – I should have put the link in for India Grace Designs. She is a lovely lady and very helpful. Whereabouts on the India Grace site is the train design? And good luck with the house! Good luck with the new project and great progress on your BAP! I hope your house sells soon. Here is a link – it is under “clocks”. Ooooh that is pretty – I can see why he wants it !! 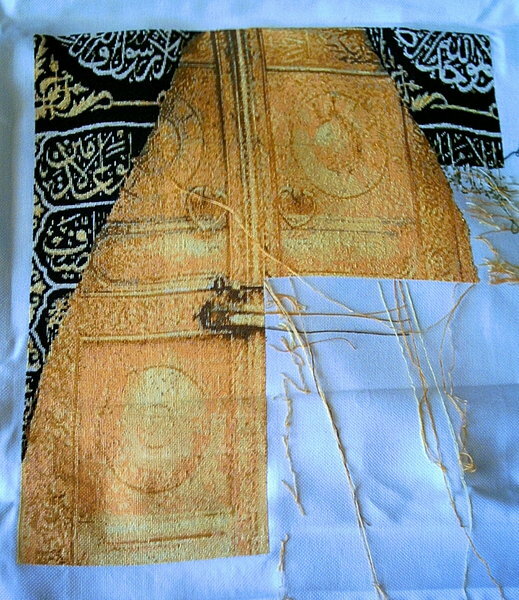 More progress on the doors – 1235 stitches this week – finally got to the one third point – YAY!!! Also done a little bit more on St George’s. I will try to get some photos taken and uploaded later. Well done! The Dreaming is such a lovely design and the floss is so colorful! No progress at all this week as we have all been struck down by some sort of stomach virus. We all took it in turns to be ill, so it hasn’t been very pleasant here. On the bright side, I have lost 7 kilos!!! We put our house on the market this week, in preparation for our big move to Algeria this summer, god willing. No interest as yet, but I think the property market is quite slow at the moment. Hopefully it will pick up as the weather improves. I’ve updated my photos to show my progress so far. I managed 1227 stitches on the doors, and I also did quite a bit of my handbag this week. I’ve nearly finished the second side, then I have to put the tassles on the bottom and finish it off. I worked on St George this weekend and it is coming on really quickly. I really am not sure of the thread colour but I’m too far along now so I will finish and maybe stitch it again in a different colour some day! Anyway we are all recovered from our illness of last week and everyone is back to work/school. We haven’t had anyone round to view our home yet – looks like we are going to have to drop the price to get any interest, will have to decide in the next couple of days. We have a buyer for our home!!! The first person to come to view has put in an offer, and we have accepted. Now just all the sorting and packing to get going. Really good stitching week this week. I managed 1496 stitches on my big project and also got quite a lot of stitching done this weekend on St George’s. 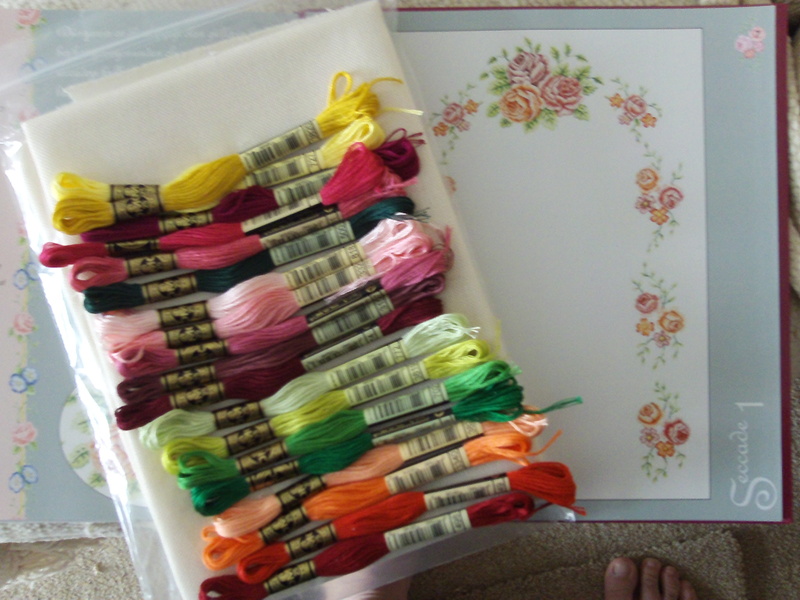 Also increased my stash again – I bought a little 3D cottage and the fabric/floss for the Just Nan chart. I also ordered the Cosima Sampler from Lekker Threads. How do you count your stitches to get such an accurate number of what you’ve done? I’m trying to stock up before our big move to Algeria in the summer – I don’t think they have any LNSs in Algiers!! !I mark off on my chart as I stitch and cross off each square of 100 stitches then tally them up at the end of the week, add on the odd stitches, add the total of all complete pages and that’s it. I only do it for my big project, more as an incentive to keep going – if I managed at least 1000 stitches during the week, I can work on St George’s at the weekend. I’m trying to stock up before our big move to Algeria in the summer – I don’t think they have any LNSs in Algiers!!! I’m sure one or more of the internet suppliers will ship to Algiers, if not, I’ll ship stuff and you can paypal me in return! How’s that? I mark off on my chart as I stitch and cross off each square of 100 stitches then tally them up at the end of the week, add on the odd stitches, add the total of all complete pages and that’s it. I only do it for my big project, more as an incentive to keep going – if I managed at least 1000 stitches during the week, I can work on St George’s at the weekend. I’ve never thought of doing it that way. I think I’d see so few stitches done that I’d get discouraged. Glad it works for you. A good week this week again – 1734 stitches on the doors and a bit done on St George’s. I also received my Cosima Sampler pattern and I’m trying to decide what colours to use. I am leaning towards a pale lilac linen and dark lilac thread, as that is the colour scheme I want for my new bedroom, but I haven’t been able to find the exact colours yet. I’ve finished St George’s. It was a weekend only project, but I worked on it an extra day just to finish it. I am thinking of making it into a cushion cover, rather than frame it. Spent most of yesterday evening at the hospital with my daughter. She has been feeling unwell for a couple of days and yesterday she came out in a rash all over her body, and white spots on her toungue. Turns out she has probably got Scarlet Fever. They’ve taken a throat swab and put her on antibiotics and she seems a little brigher today. She was meant to go back to school today after the easter holidays but will need to stay at home for the rest of the week. Just hope that my little boy doesn’t catch it now! It is great you finished St. George’s. However I am vary sorry to hear your daughter is sick. Give hugs to her for me.Jenan had gotten Rubella about 1 month ago and got a itchy rash. She really felt miserable so I am sure your daughter is feeling terrible. She will definitely be in my duahs. Best wishes to her for a speedy recovery and congratulations on finishing St. George! I’m looking forward to seeing a picture. Thank you both. My husband has now been told that he has it too. We thought he had a bad dose of flu, as he didn’t have a rash, but the doctor told him yesterday that adults don’t always show the rash. My daughter is feeling a lot better now and should be back to school on Monday, god willing. Oh you poor thing, both child and husband ??? Your family has my sympathies! I am sorry to reply to you so late, but I have been having computer problems. I hope and pray that your daughter recovers quickly with no bad side effects. Thank you all for your kind thoughts. Everyone is a lot better now. My daughter is back in school and taking her Stage 1 SATs!! This is the first time I’ve done one of these blogs, so I’m not sure what I am going to put in it yet. Didn’t get much stitching done yesterday, but I did make a start on the handbag I recently bought, put in about 170 stitches. This is the first time I’ve worked with linen and it doesn’t seem too bad so far. The hardest part is working in hand rather than on a frame, because the bag is closed. I also ordered all the floss I need for Crackling Silence and Paris when it sizzles. I bought it on EBay so got it quite cheap. 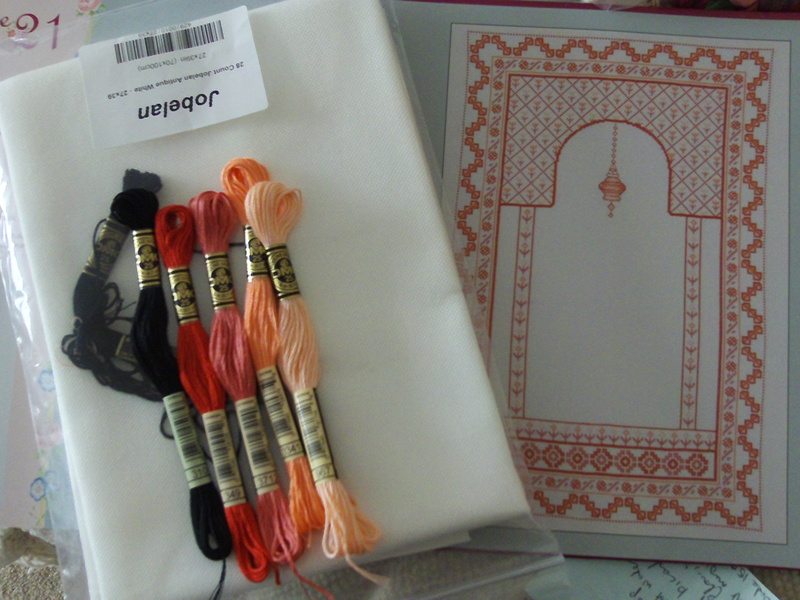 I’m still waiting for the fabric for PWIS – can’t wait for it all to arrive! Spent a while sorting out which ones go with which project, but haven’t done anything else with them yet. I’m still waiting for the fabric for the PWIS chart. Did some work on my big project last night – sat up stitching and watching ER and House. Also did a little bit on the handbag too. 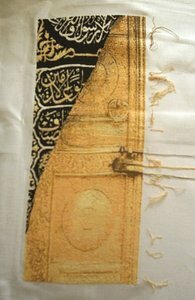 Received my fabric for PWIS – looks lovely. I now have both my new projects kitted up but don’t know when I will start. I’ve been a bit under the weather the last few days, so haven’t done much in the way of stitching (or housework!) but I’m feeling better now so hopefully I will get some work done. I managed only to put in 609 stitches on my big project this week. That’s 26823 stitches complete out of 101100 (26.5%). 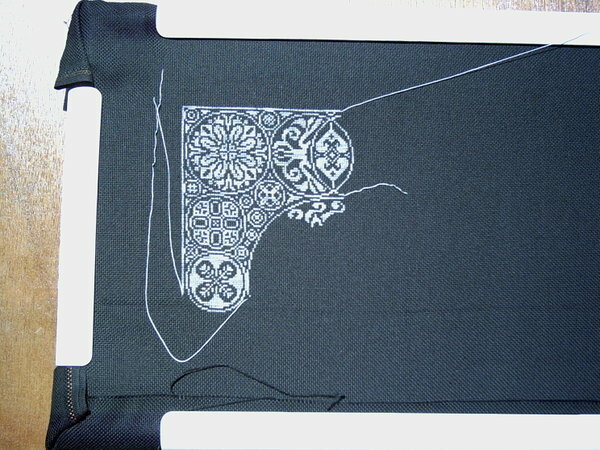 I also finished the centre part of the design on the henna handbag and added some beads. My daughter thinks it’s lovely and has got her eye on it already (she’s only 6). Did quite well this week, managed to put in 1645 stitches on my big project, but nothing on anything else. Also increased my stash (thanks Claire!!). I bought the St George’s pattern by Long Dog. I’ll put up a photo when I can. Yep, another week has passed so quickly. I managed just over 1,000 stitches on my big project and I also completed a little heart pattern that I got from “The Gift of Stitching” online mag. Don’t know what I am going to do with it though! I have been trying to figure out what fabric/threads to use for St G’s. I have put some photos in my stash album. I can’t really afford to get more so, out of my stash, I have some chocolate coloured linen with some gold variegated thread, or some blue evenweave with a pink thread, or I have a darkish cream soft aida with maybe the thread from Pol Stitches – fire and ice – if I can save up a few pennies. What do you think? That is just gorgeous! For once, lost for words…..
Oh that is so lovely – I have this chart waiting to be stitched. That’s a gorgeous combination – I can imagine it looks even better in person! Oh wow! 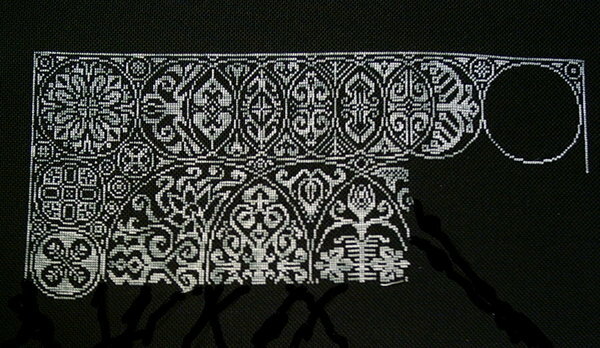 I was thinking of doing it on light fabric with dark thread, but I think I like this too. It’s going to look stunning when it’s done. Oh that’s brilliant !!!! Just gorgeous !!!! I started this one with white thread on red fabric to attempt to get this kind of look – but compared to yours I failed miserably! Well done – can’t wait to see updates on this one!! That is just lovely. This design is just so gorgeous. That looks really incredible Somayya! Thanks everyone for your lovely comments. The photos really don’t do the thread justice. I’ll have to try to get better pictures next time. 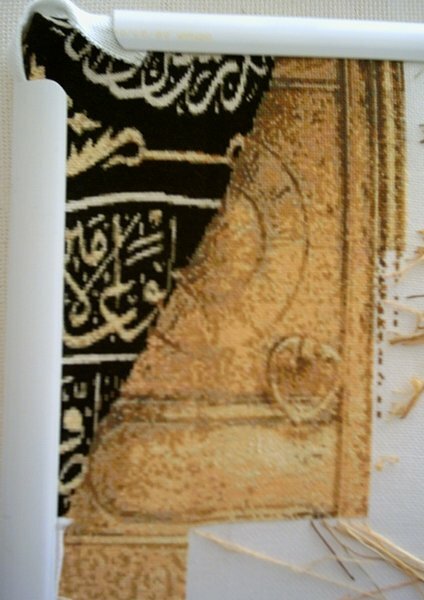 It is hard work on the black fabric, but slowly, slowly …..
Oh that is gorgeous. I love all your work very very beautiful. Gorgeous, such a dramatic contrast!! That is so beautiful! I can’t wait to see it progress. Cheers. WOW! It looks really great. It will be fun to watch this one!! Oh wow…simply gorgeous! Looks amazing with the white on black. It will be an utter stunner when done! That is looking sooo amazing !!!!! Well done in persevering with the black fabric !!!! You’ve gotten a big chunk done – congrats! I think I like your color choice better than mine. I *know* I love Somayya’s colour choice better than mine – I also know I would lose my eyesight trying to stitch this this way. But oh my it looks fabulous !!! !